When my wife and I started getting serious about the future during our love-struck dating days, we began talking about what kind of family we envisioned. We both wanted a large family and for our kids to be close in age in hopes they would have a closer bond when they became adults. Fast forward a few years, and we had our first four children within five years. Little did we know that the impact of each additional child would be more of a multiplication factor than simple addition. When our youngest turned 5, we decided we wanted one more and chose to adopt a fifth child, knowing full well that life would double for us once again. Much like the multiplication factor for how quickly our home requires a deep cleaning based on the number of children we have, how clean or dirty your oil is can be determined by multiplying the number of particles in the fluid, according to the cleanliness code developed by the International Organization for Standardization (ISO). To fully understand the ISO 4406 solid contaminant standard, you need to go back to the beginning. Surprisingly, this standard did not originate with ISO but rather the National Aerospace Standards (NAS) organization. During the 1960s, the NAS attempted to bring order to the chaos of particle counts in aircraft hydraulic fluids. The result was the creation of NAS 1638. The first version of this standard utilized an optical microscope to size solid particles. All the particles within 1 milliliter of oil would be categorized into five size ranges: 5-15 microns, 15-25 microns, 25-50 microns, 50-100 microns and greater than 100 microns. A chart was used to classify the oil’s cleanliness with a range of 00 to 12, based on the number of particles in each size range. The lower the number, the cleaner the oil. Prior to this time, a coding system to quantify oil cleanliness had not been established. This method worked well and was largely accepted by industry through the 1970s and ’80s. With improved particle filters, the invention of automatic particle counters and the push for ISO 9000 during the ’80s and ’90s, several other attempts were made to create industry standards for cleanliness levels by the Society of Automotive Engineers (SAE), the Aerospace Industries Association of America (AIA) and others. The improvements in particle filters tipped the scales of natural distribution. Filters became more efficient at removing larger particles, which made the larger size ranges less representative of the particle distribution in the oil. With this change in the natural distribution of particles, ISO decided it was no longer necessary to report the concentration of these larger particle ranges. Recognizing the importance of hydraulic oil cleanliness, the shortcomings of NAS 1638 and the deficiencies of other standards organizations, ISO aspired to create a standard that would more accurately reflect the concentration of particles. The organization also sought to make its classification or code easier to understand while expanding the standard to all lubricating fluids so there would be one accepted standard across all industries. The process began by reducing the number of categories from five to two with an optional third. It was also decided to use a scale that would count particles of specific sizes and larger, moving away from the range approach. The representative particle sizes chosen were 2, 5 and 15 microns with the 2-micron category being optional. 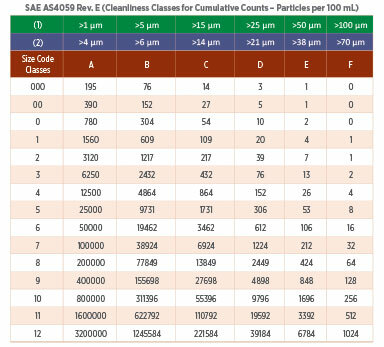 Unlike NAS 1638, which categorized all particle counts for the various classifications with a single number, ISO 4406 represented each size individually. An ISO 4406 code is always shown with the micron sizes listed from smallest to largest. The second major modification involved changing the scale altogether. What would later become known as the Renard series table was born. The classifications spanned from 0.9 to 30, with each doubling from the lowest to the highest acceptable value. This approach was intended to make each step more meaningful and impactful. It also allowed for a simple method of expressing very small and large particle counts with a single value. For example, a cleanliness code might be something like 18/14. This would indicate that there were somewhere between 1,301 and 2,500 particles larger than 5 microns and 81 to 160 particles larger than 15 microns. ISO later dropped the 0.9 code and started the chart at 1 when it was determined that obtaining this cleanliness level was highly unlikely and thus unreasonable to include it in the chart. In the 1990s, there was a push for industry to become ISO 9000 compliant. During this time, it was discovered that the current method for calibrating automatic particle counters (APCs) did not meet the requirements of the ISO 9000 standard. Previously, all APCs were calibrated according to ISO 4402 using Air Cleaner Fine Test Dust (ACFTD). During the process of becoming ISO 9000 compliant, it was determined that this calibration material was untraceable. The exact quantity and size of the particles in the ACFTD were unknown, resulting in inaccurate calibrations. The company that produced the ACFTD calibration fluid also announced that it would no longer be manufacturing the fluid. This led to ISO 11171, which utilizes ISO Medium Test Dust (ISO MTD) from the National Institute of Standards and Technology (NIST). NIST employs a scanning electron microscope (SEM) to accurately measure the number and size of particles down to 1 micron. In addition to the lack of control over the calibration material, it was also discovered that the particle sizes being reported were not the same. Depending on the type of APC used by the laboratory, there were inconsistencies when measuring the same size particles. What was a 5-micron particle in an optical APC (calibrated to ISO 4402) was a 6-micron particle using an SEM. This led to the need for a new calibration medium and standard, thus the creation of ISO 11171 for calibration and ISO 4406:99 for reporting. ISO was presented with a major decision to make: Should there be two standards based on the type of APC and method of calibration, or should the current standard be adjusted so it would be compatible with both calibration methods and APC types? It was decided that two standards would create confusion, so the alterative of developing a compatible standard was accepted. With subsequent accuracy improvements in microscope technologies, ISO realized that the reporting of particles smaller than 5 microns was becoming more reliable. Thus, a third micron size was added as an option to the cleanliness code. ISO concluded that the concentration of smaller particles was of greater concern than the larger ones. The organization determined that 4-, 6- and 14-micron particles provided the best representation of the particles closest to a lubricant’s film thickness. These particle sizes cause the most damage to moving surfaces and thus should be closely monitored. The method used to calibrate the automatic particle counter should also be considered. This rarely will be presented in any oil analysis report, so you will need to contact your lab or equipment manufacturer to find out which ISO calibration standard was employed. Again, the most current calibration standard is ISO 11171. While ISO 4406:87 and 4406:99 have been widely accepted, there is still a significant portion of industries and countries that use SAE AS4059. Several revisions have been made to this standard over time. The most current revision of this standard occurred in September 2013, which is SAE AS4059F. The reporting of this standard utilizes the same table as the NAS 1638 standard shown. The most current revision has added optional reporting methods to include the ability to report on the specified cumulative particle size count instead of a single code that represents the cleanliness of the oil. You will be able to identify if the code is specific to a cumulative particle size count by a suffix letter after the class. The letter will be between A-E and will tell you what cumulative particle size count category the code represents. For example, a Class 6B would indicate how many particles are greater than 5 microns (optical microscope) or 6 microns (most APCs). Be careful, though, as the revision of AS4059 may result in different cleanliness classes from those obtained with previous versions whenever the class was specified without any letter size suffix and in some cases when the class was specified with a suffix. Cleanliness classes with no suffix from previous versions of AS4059 are based on particles greater than 6 microns, whereas classes from this revision are based on the number of particles in each of the size ranges except the smallest, 4 microns. Identical to NAS 1638 - For example, AS4059 Class 8 is the same as NAS 1638 Class 8. The size of particles counted varies depending upon whether an optical microscope or light blockage APC is used. Different classes for cumulative counts of particles greater than a particular size range - An example would be 7B/6C/5D or 7B/4C. 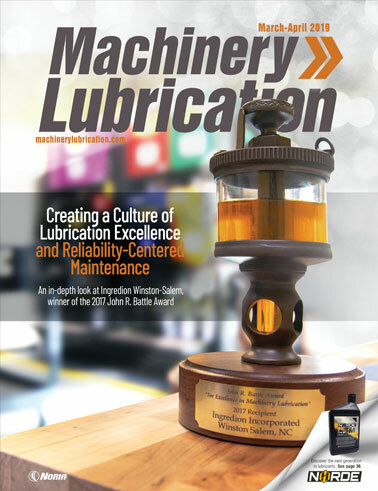 There isn’t a right or wrong cleanliness standard to use when setting up a lubrication program. The important thing is that you follow a standard and use it correctly. Unlike most of the information in an oil analysis report, particle counts should not use the same trending methods of iron, silica, copper, etc. You will want to watch which direction your particle counts are moving, but this alone should not be used as a failure indicator. There are just too many variables in play. The difference between codes can be one particle or several hundred or thousand particles. For this reason, it is recommended to set cleanliness targets and track particle counts or ISO codes relative to those targets. Both cautionary and critical alarm limits should be established. Ideally, the cautionary limit will be your target or one code above. The alarm limit might be two or three codes above your target. These limits will help make your decision-making process easier if you should consider cleaning your oil with a filter cart or performing a full drain, flush and fill. Setting cleanliness targets for each lubricant offers many benefits. The main advantage is the extension of overall machine life, which can lower maintenance costs and increase production cycles. Case studies have shown particle contamination to be the leading cause of machine failures. Therefore, it only makes sense to monitor the concentration of these particles. Other benefits of setting cleanliness targets include increasing the awareness and visibility of the efforts being made through various lubrication activities. Establishing a moderately aggressive target for your lubricants will require everyone to follow lubrication best practices. 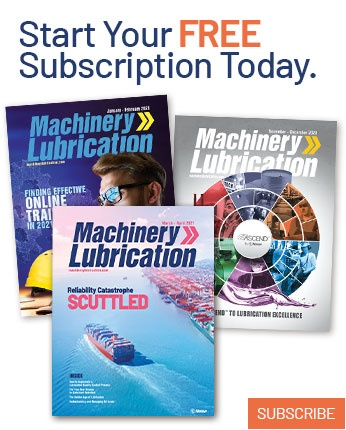 It can also create a common goal among maintenance and operations personnel for plants in which the lubrication duties are spread across multiple departments or divisions. Since not all machines are treated equally, it will be important that cleanliness targets be set appropriately for each machine. For example, hydraulic and turbine systems are far more sensitive to solid contaminants than a gearbox or process pump. The oil’s viscosity will also play a significant role. The higher the viscosity, the more difficult it will be to remove particles. The machine’s environment can impact your cleanliness targets as well. A hydraulic system in a controlled environment, such as a pharmaceutical production area, may have a different target than the same hydraulic system inside a cement plant. More potential contaminants in the air can increase the need to maintain cleaner oils, which will require a more aggressive standard. A high-contaminant area may also demand a larger investment to help maintain the appropriate oil cleanliness levels. Most original equipment manufacturers (OEMs) provide general lubricant cleanliness levels for their machines to meet the warranty expectations. 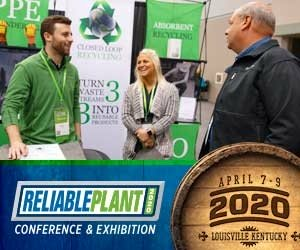 While these OEM targets make for a great starting point, they often do not take into consideration your specific environment or plant reliability goals. If your facility has a centralized lube room, set an overall cleanliness target for each oil type. When establishing these targets, begin with the most sensitive machine component using each oil and work through the same process for each machine. Once you have set your cleanliness targets, take a stepped approach to cleaning your oils. Starting with a high-efficiency filter at a small micron level would be expensive. Instead, slowly progress to smaller micron filters over time. When you reach your goal, you can then maintain this cleanliness level with higher efficiency filters. By better understanding the cleanliness code, setting appropriate targets and closely monitoring your particle counts, you can determine how dirty or clean your oil is, which should then help you achieve your overall reliability goals. Fitch, E.C. (1976). “The New ISO Cleanliness Code – Let’s Use It.” Fluid Power Research Conference. Day, M. “What Happened to NAS 1638?” Practicing Oil Analysis, December 2002.
International Standard 4406:87. International Organization for Standardization. International Standard 4406:99. International Organization for Standardization.